Locality: Mexico, Sonora, Mpio. de Cananea, Ajos Nuevos Station, Cañón de Evans, 29.9 km (by air) E of Cananea, Sierra de los Ajos, Ajos-Bavispe Reserva Forestal Nacional y Refugio de Fauna Silvestre. Habitat: Riparian deciduous forest in rocky stream canyon; oak woodland and pine-oak forest on slopes. 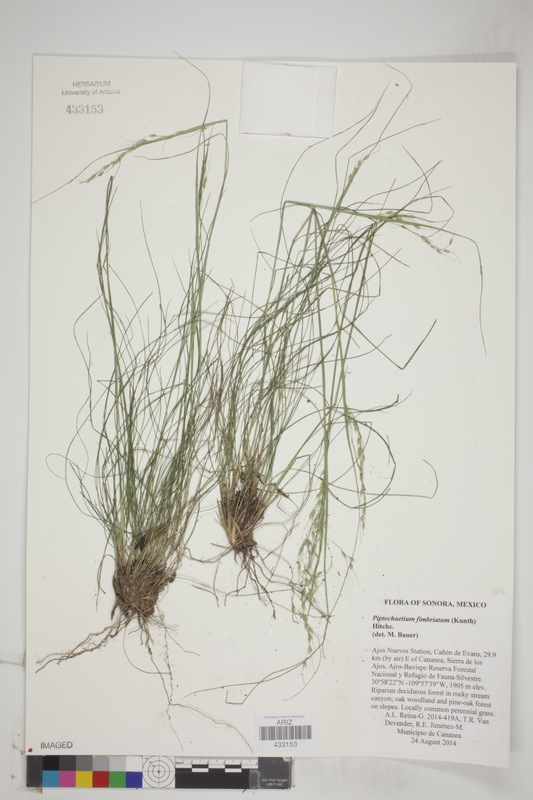 Occurrence Remarks: Locally common perennial grass.